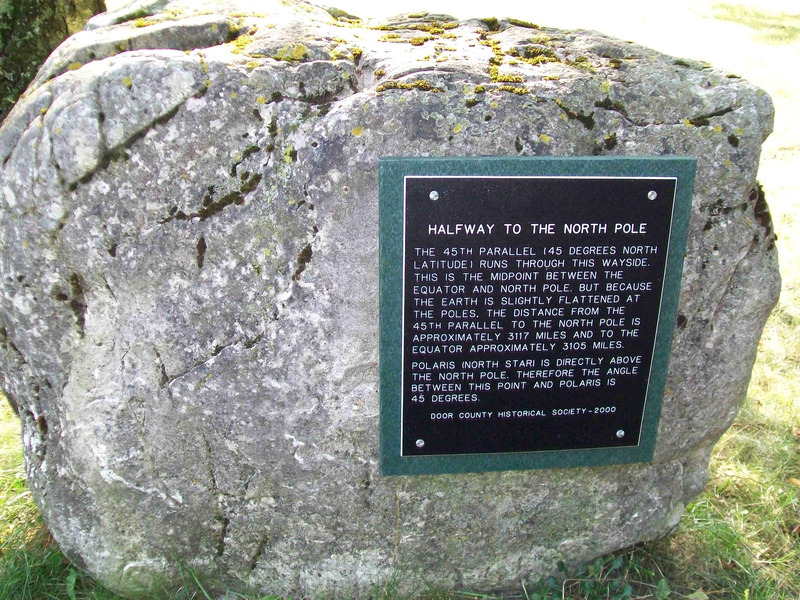 We have encountered this in two places in Wisconsin, the spot is marked by a plaque or interesting marker. 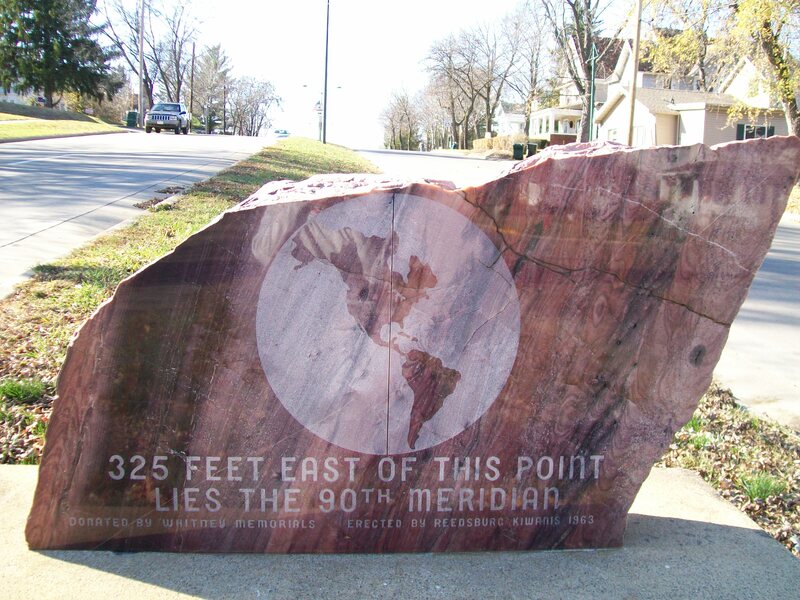 In Reedsburg there is a granite marker showing the 90th Meridian. In Door County is the 45th Parallel.